Sony smartwig what it can do? Okay, this might be taking the whole “smart” phenomenon a little too far. 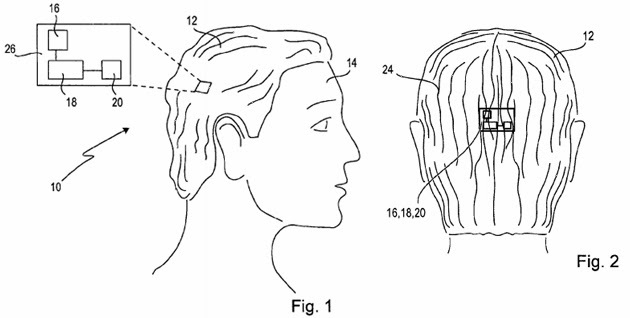 We already have smartphones, smartwatches and smart cameras, but Sony has now filed a patent for a SmartWig. Yes, it is more intelligent than your average toupee? So, what you can expect from this hairpiece? First, the “wig” part of the equation should be reasonably conventional as far as wigs go. It could be made from “horse hair, human hair, wool, feathers, yak hair or any kind of synthetic material.” What adds the “smart” part to the SmartWig is the circuit board hidden behind all that hair. The board, much like a smartwatch or smart glasses, would then communicate with a primary device like your smartphone or tablet. A smartwatch might light up or vibrate to inform you of a notification, but how will the Sony SmartWig do it? Apparently, it’ll also have actuators that will then “provide tactile feedback,” likely in the form of a vibration. They could even put actuators in different places, so a buzz on the right is an email, whereas a buzz on the left is a text message. The patent filing goes on to describe possible additional features like GPS, an ultrasound transducer and even a camera. You might even be able to send commands by raising your eyebrows or touching your faux sideburns. Yes, it’s pretty weird, but it is “just a patent” at the moment. How much further Sony pursues the SmartWig remains to be seen.